Greatest Film I’ve Never Seen Blogathon – Final Wrap-Up! Hi, sorry, I’m a little late with the final wrap-up for the Greatest Film I’ve Never Seen Blogathon. I was waiting for the holiday to pass to allow for more late submissions. The Wonderful World of Cinema is happy she chose The Man With the Golden Arm, particularly because of Frank Sinatra’s jaw-dropping performance. 18 Cinema Lane decides the Hallmark Channel’s The Christmas Card doesn’t quite hold up as far as plot and secondary characters, but still admires the performances of the lead actors. Silver Screen Classics is thrilled to discover The Philadelphia Story lives up to its sterling reputation. There may still be one or two more blog posts coming in–I will do a final-final wrap-up in that case! 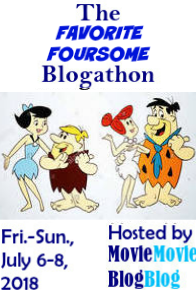 Thanks again to all the bloggers who participated in this blogathon! After all these months, I have finally published my article about “Gone with the Wind:” https://pureentertainmentpreservationsociety.wordpress.com/2019/01/29/gone-with-the-wind-from-1939-self-regulating-a-classic-for-the-greatest-film-ive-never-seen-blogathon/. It certainly took me long enough, but I enjoyed writing it. Thank you for accepting my very tardy entry in this blogathon! Hi Tiffany. Thanks so much for the post. I’m in the midst of a family emergency. It will probably be the weekend before I can do a post to promote it. I did get a chance to read it and found the background info very interesting! Some of it I didn’t even know, and I thought I knew a lot about the movie! Thank you so much for your comment. I really appreciate your reading my article. I’m glad that I was able to provide some new insight on the film. I am so sorry about your family emergency. I hope that everything goes well for you and yours. Please take all the time you need in adding my article to the roster. After being months late, who am I to complain about quick posting? Again, I wish you a speedy end of your troubles. Hey, Tiffany, I hope you don’t think I’ve forgotten about you. Life has been coming at me very fast lately. To top off a bunch of family obligations, I fractured my ankle yesterday. When things calm down I promise to share your link sometime in the near future. I never thought that you forgot about me. I understand that very difficult things can happen. They always seem to happen in bunches! I am so sorry to hear that you fractured your ankle. I hope that it mends well and soon with little discomfort. Hopefully your troubles will end soon. Don’t worry about the link; share it whenever it is convenient.